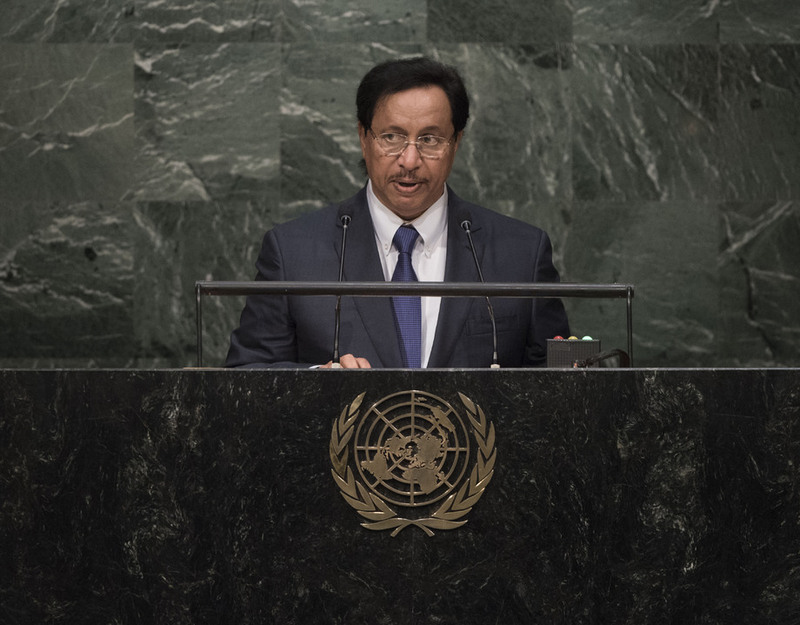 SHEIKH JABER AL MUBARAK AL HAMAD AL SABAH, Prime Minister of Kuwait, said one of the most outstanding milestones of the United Nations was embodied in the adoption of the Sustainable Development Goals. Kuwait affirmed it would spare no effort to fully implement them over the next 15 years and the Kuwait Fund for Arab Economic Development would continue to provide loans and development programs, including $15 billion to meet the entitlements and requirements of sustainable development. Turning to regional conflicts, he said that Yemen and its brotherly people faced serious challenges owing to the intransigence of the Houthis militias. He emphasized the need for implementing relevant Security Council resolutions, especially resolution 2216 (2015). Kuwait had donated $100 million to meet the humanitarian needs of the Yemeni people. As the disaster in Syria entered its fifth year and the humanitarian crisis became overwhelming, Kuwait reiterated its firm and principled position that a solution could only be achieved through political, peaceful means. Kuwait welcomed the endeavours of the United Nations and the Special Representative of the Secretary-General for Syria, who aimed to mobilize efforts to implement the 2012 Geneva 1 Communique of the Action Group on Syria. Since 2013, Kuwait had hosted three international donor conferences to support humanitarian efforts in that country. Declared pledges totalled $7.15 billion, of which Kuwait had contributed $1.3 billion, most of which had been delivered to the United Nations specialized agencies and other governmental and non-governmental organizations concerned with humanitarian affairs. On Libya, Kuwait was very interested in the agreement announced by the Special Representative in Skhirat, Morocco, to form a national consensus government to end the fighting. He reiterated his country’s firm and principled position to reject all forms of terrorism, radicalization and intolerance. International and regional efforts for peace in the Middle East faced many impediments as a result of Israel’s intransigence. Kuwait welcomed Security Council resolution 2231 (2015), which endorsed the Joint Comprehensive Plan of Action on Iran’s nuclear programme. Kuwait called on Israel to accede to the Nuclear Non-Proliferation Treaty (NPT) and subject all nuclear facilities under the control of the International Atomic Energy Agency (IAEA) in compliance with the resolution adopted in the 1995 NPT Review Conference, which called for a zone free of nuclear weapons in the region.